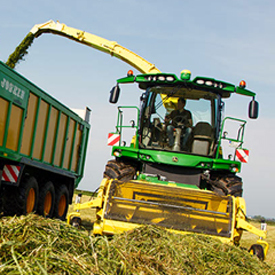 Reliability, cutting performance and cost of operation are the three most important factors when choosing a new forager. 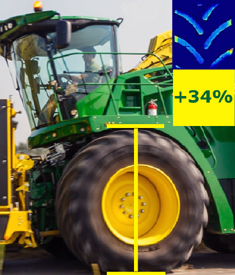 Better reliability means more uptime. 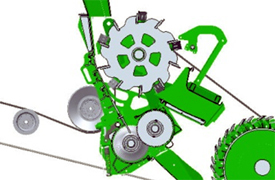 Precision cutting brings more value to your customers. 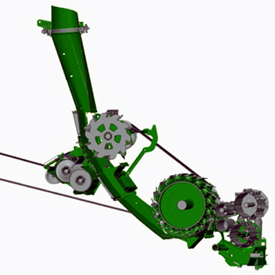 And lower cost of operation delivers more profitability. 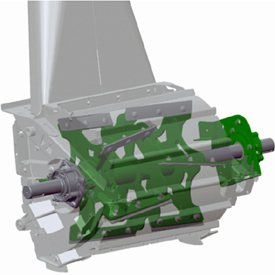 Only the 8000 Series gives your business more. 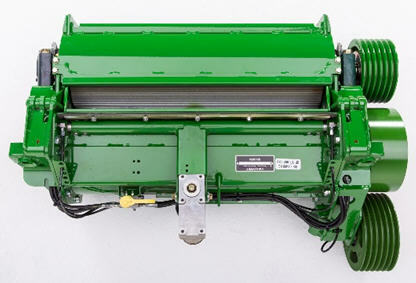 The 8000 Series cropflow channel begins at the harvesting unit pickup tines or crop-row pointer. 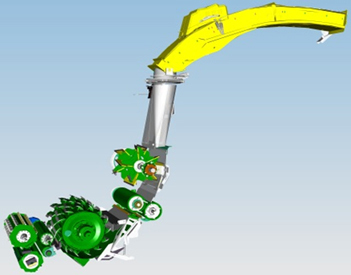 On the actual harvester, it starts with the feedroll arrangement. 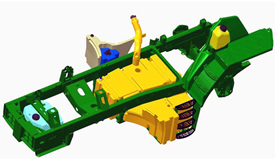 John Deere has implemented a concept layout well proven on the 7000 Series. 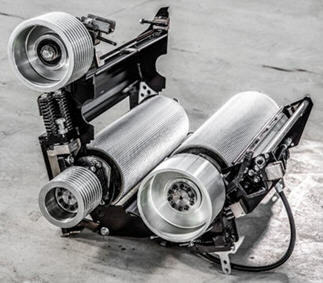 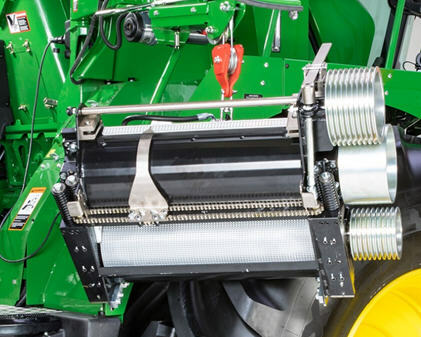 Ultimately, the 8000 Series SPFHs provide superior crop-flow efficiency, resulting in industry-leading machine capacity in respective horsepower classes as well as low-specific-fuel consumption (liter of diesel per ton of crop harvested). 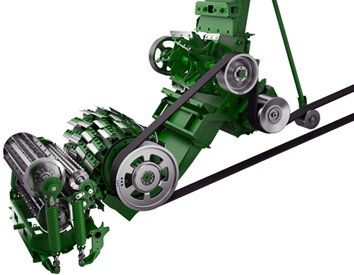 Combined with Dura Line technology, the 8000 Series SPFH triggers the lowest possible machine maintenance with minimal cost of operation. 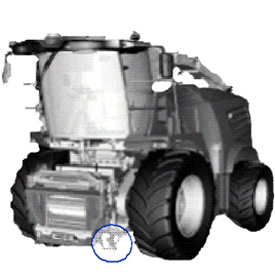 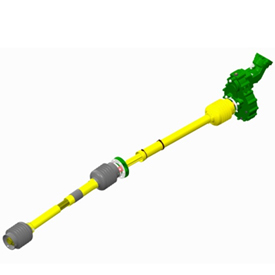 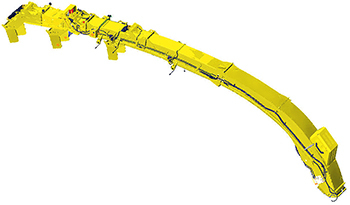 When specified with HarvestLab™ 3000, section two would carry the near-infrared (NIR) sensor. 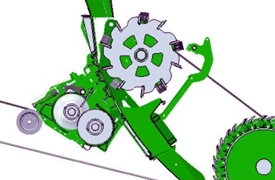 In this case, the wear liner always comes in Dura Line™ version, and it would feature quick-attach clamps for easy maintenance of the HarvestLab 3000 sensor. 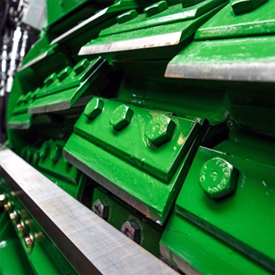 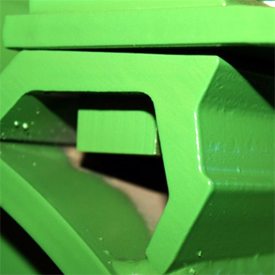 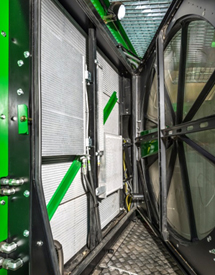 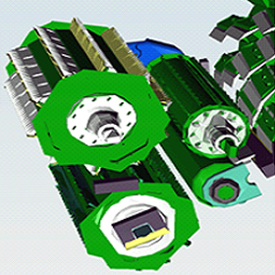 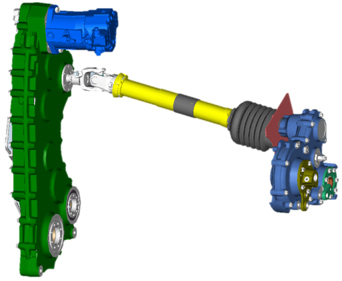 The HarvestLab 3000 installation is tremendously facilitated by directly bolting to the wear-liner segment. 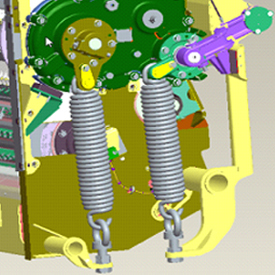 The NIR sensor is once aligned with the carrier sheet, and whenever serviced, the entire assembly is then unlatched from the spout and then re-clamped. 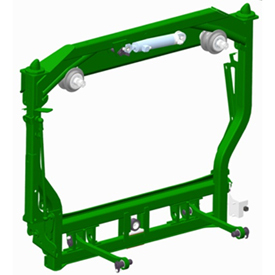 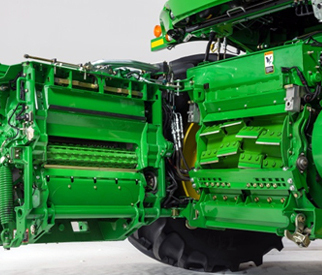 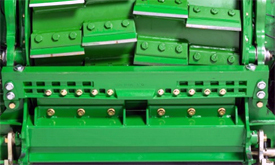 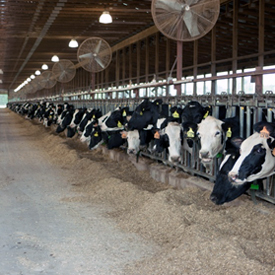 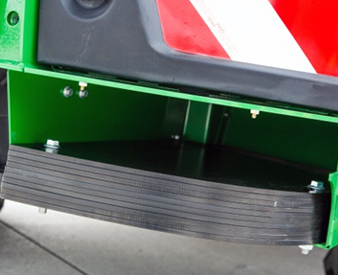 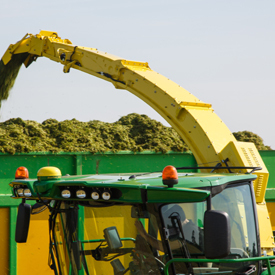 The standard configuration shipped from the factory would be dedicated to grass harvesting with a windrow pickup or corn harvesting with a 6-m (20-ft) corn header. 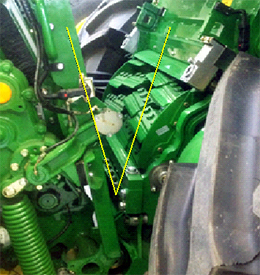 Other spout segments to extend the spout for 7.5-m (25-ft) or 9-m (30-ft) header widths are bi-packed with the harvester if ordered.